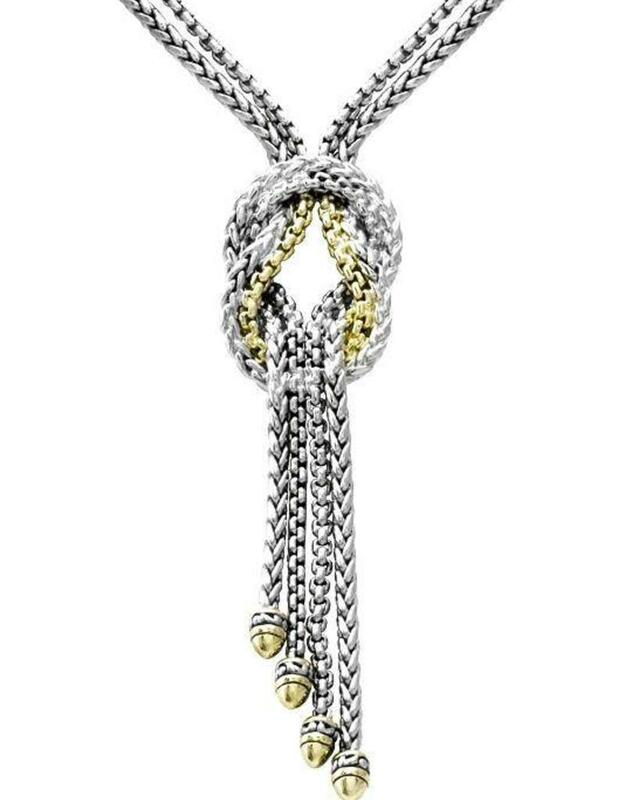 This piece is made of Rhodium, a derivative of platinum, with accents of lustrous gold. 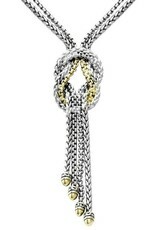 Its length is 17.25” and has four gold bullets that serve as chain-stop charms. This simple, yet exquisite necklace is the perfect accessory for an everyday casual look with a hint of class.